Imagine this…You get tickets to go see Them Crooked Vultures in concert. The band features Josh Homme (Queens Of The Stone Age), Dave Grohl (Nirvana, Foo Fighters) and one of your idols John Paul Jones (Led Zeppelin). You put on your favorite Led Zeppelin T-shirt and somehow manage to get backstage to possibly meet your hero. That’s when you realize you might have had one drink too many and pass out on a nice cosy white couch. 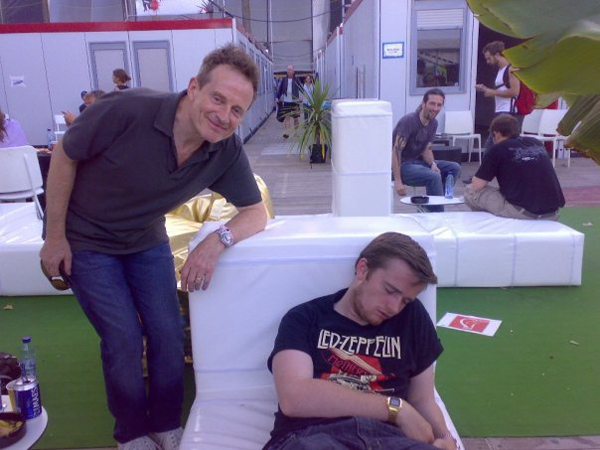 Then this happens…John Paul Jones Photobomb!!!! Then this happens as well…Dave Grohl Photobomb!!! 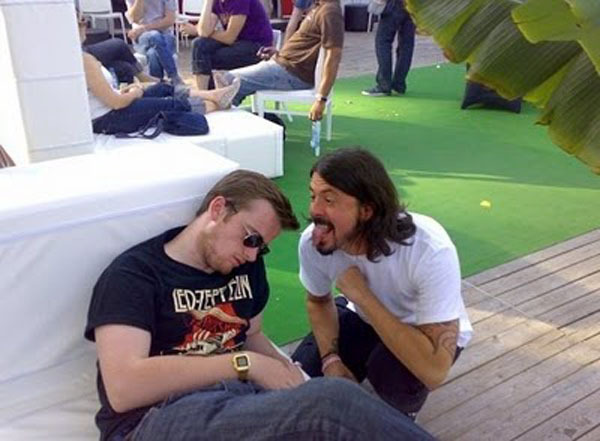 This quite possibly could have been taken at the Foo Fighters Wembley concerts as well. If anyone has more details on these classic photos, leave us a comment…Thanks to Darryl (@hkcollectibles) for the great photo lead. 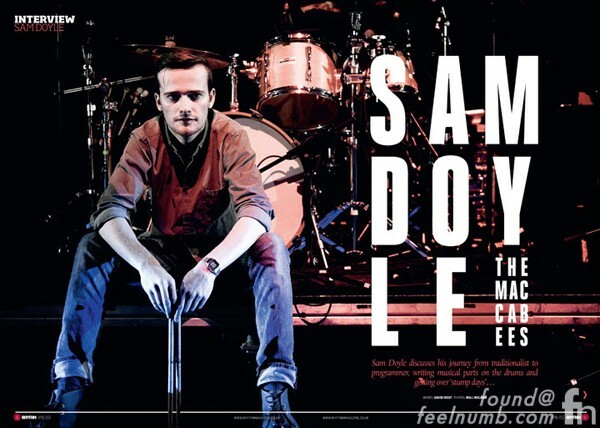 The guy in the now viral John Paul Jones photo bomb is a fellow musician drummer Sam Doyle from the band The Maccabees. Feelnumb.com readers have said it was backstage at Pukkelpop 2009 but judging from photos of what John Paul Jones is wearing I think it was more likely backstage at Rock Werchter 2010. Photo Of The Month: Jim Morrison Holding A Six Pack Of Budweiser "Tall Boys"